The Back View of A Huge Man: Defend Mao Zedong And Thinking On China Nowadays. The Back View of A Giant Man: Defend Mao Zedong And Thinking On China Nowadays. 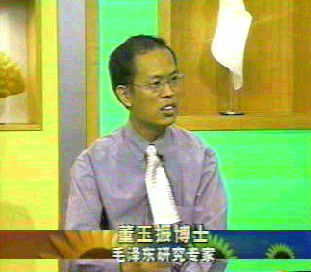 DR Dong Yuzhen recieved a interview from the main TV, Channal 8 TV, Singapore Media. 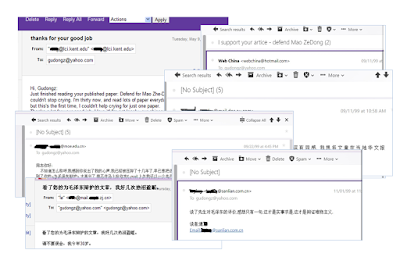 In 1999, when Dr Dong first publish a long paper about Mao Zedong , a lot of Chinese scholar sent email to him to appreciate his paper. Some scholars said that they cannot keep crying when read this paper. 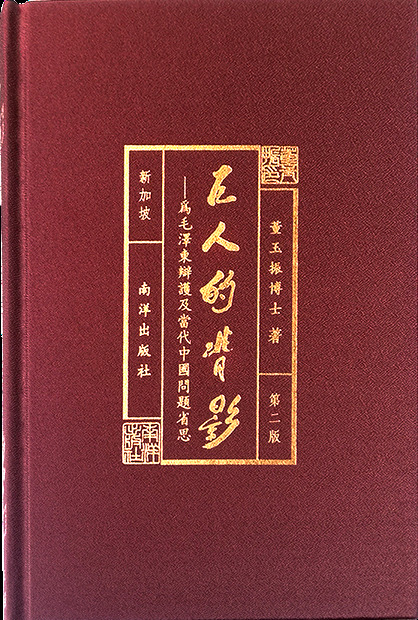 Dong Yuzhen is the author of this book. It is his research result in past several years. This book give a different points of view on Mao Zedong and his time. To understand this book, the author should be introduced first. Dong Yuzhen grow up in a small and poor village in Shandong province of China. His education background is on engineering, and finished Ph.D in Tsinghua University. Then he joint a university in Singapore to do postal doctoral research. Dong also every worked in Shenzhen. The most successful special economic zoon. His dream from 16 years old, then he is a fresh student in University, his dream is to become a politician to reform China and her poor, uncultured country. From then on he always do social investigation with any spare time. His experience made him know well on country, big city, industry and education situation of China, especially with a international view. 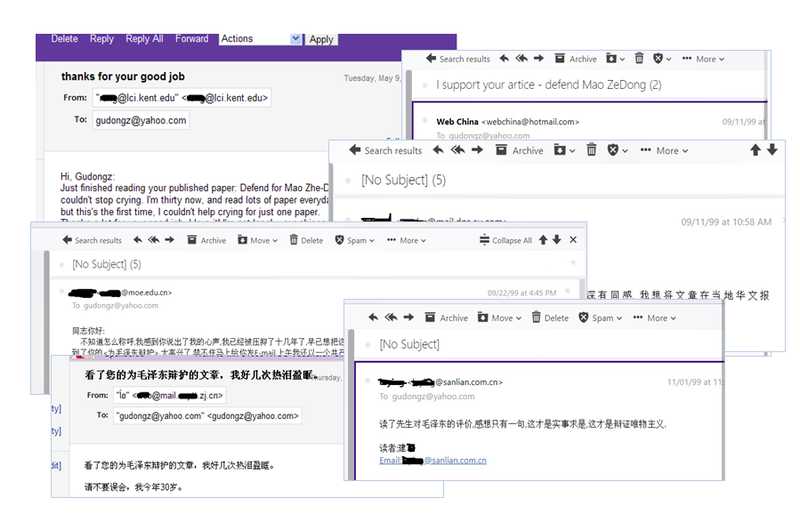 If one scholar want to do research on Mao Zedong and his time, but without the wide experience of a big country as China, definitely, without a deep understanding on China, it is impossible to understand Mao Zedong and his time. The scholar from western country and big city of China cannot understand that why the farmers of China are grateful of Mao, although they are very poor then, even some of their relatives or skin member of their families dye of hungry because of Mao’s wrong policy during 1959-1961. Dong Yuzhen believes that he can understand Mao, because he understand the farmers of China, as well as the people living in city. This book include the chapters as: 1,Great progress on Economy, Education, Base construction, and humanitarianism care to China’s grass level. 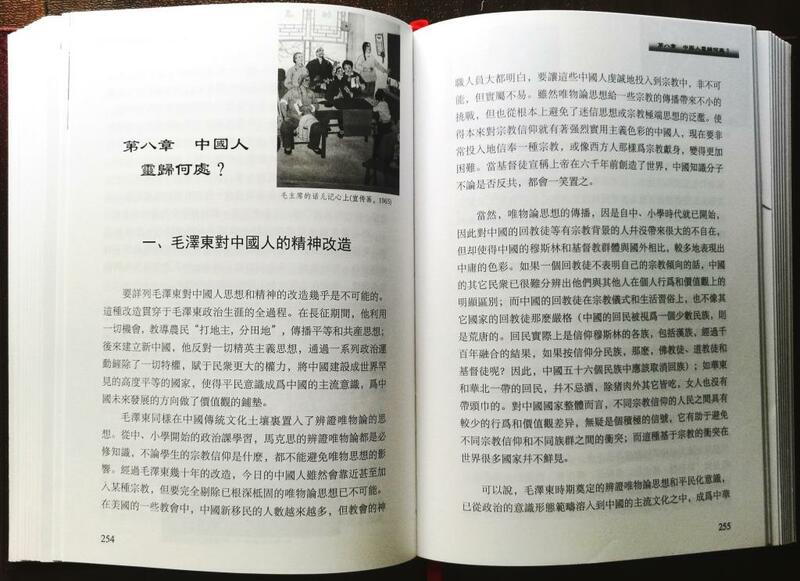 2, Why Mao did not control the birth of baby and the relation of farmers with Mao. 3, democracy and dictatorship, 4, The Cultural Revolution and the China Intellectual. 5, Mao and personality cult. 6, Revolutionary contribution of Mao to the religion of Chinese. 7, Discuss the backout of the old wall of Beijing City. 8, Anti-Japanese War and War of Liberation... 9, Mao and Woman, 10 Deng Xiaoping’s wrong action after Mao,11,Judge the morality by motive, judge the capability by result. 12, How about China will be if without Mao in History, 13, Mao Time’s revolutionary contribution to art and traditional (Chinese) opera, etc. The opinion in this book is much different from that of the China Communist Party. 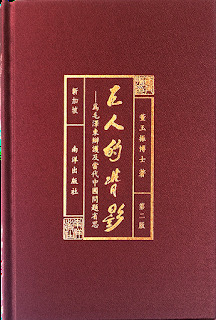 But the top leaders order a lot of this book, and invite the author to Beijing to discuss this book. +++++++++++++++++the following is the paper published in Magzine Asialink, which was translated the part of 1st chapter of this book. Looking back at the history of economic progress in modern China today, the view is unanimous among those in the Chinese and foreign media and scholarly research - that it was under Deng Xiaoping's leadership that china's economy was able to transform itself and to progress, The question is, is this viewpoint correct? In this issue, The Asialink takes a look at what a Singapore scholar has uncovered in the course of his research. This paper is from Dr. Dong Yuzhen's book: The View of a Huge Man's Back. Who contributed more to China's economy? Deng Xiaoping or Mao Zedong? That 'Mao did not understand economics' is almost a forgone conclusion, widely accepted by both locals and foreigners. While the writer thinks of Mao more as an economist, he will not defend his stand here. As a politician, party leader and head of the country, the central question should be whether there has been any major economic and other accomplishment during Mao's time. Outright criticisms or to deny Mao of his economic achievements because of a one- time slip is not being objective. Likewise, it is hasty and irresponsible to describe Mao as an "economic disaster'' or as "blocking the economic progress of China''. As China's leader, Mao had early on identified the peasant as the root problem in C h i n e s e society. In response, he initiated a series of "land revolutions", which represented a watershed in the development of China's economic society. These reforms made it possible for the peasant to own the land he tills, greatly liberalized agricultural productivity, and also empowered the largest community in China by giving them land ownership. The upshot and significance of this effort alone far surpassed any single economic reform, such as today's market economical- reform. Especially important was that Mao had, through rural reforms and violent revolution, truly consolidated the country by thoroughly eradicating the widespread illegitimate power of local authorities, including local economic hegemony, local militias and political strongholds, as well as secret society organizations. Cultural and economic exchanges between the various regions and ethnic communities were encouraged to foster a conducive internal environment for good governance, enduring peace and economic progress. In addition, a highly efficient and corrupt-free multi-level government organization was created by Mao after 1949 to spearhead China's economic development. The establishment of the planned economy system brought together limited resources for more lofty goals and also sanctioned the development of the requisite primary and heavy industries, as well as other enterprises like scientific research, education and healthcare. Mao was unprecedented in strengthening mass mobilisation and inter- community relations: he also created a strong societal foundation and the impetus for the development of the economy and various social projects. Although the planned economy system had been abandoned. the major accomplishments in the economy, science and education in the post 1949 period were indisputable. From 1952 to the end of the Mao era (1978 as the cut off date, because the period between 1976 and 1978 is the natural extension of Mao's economic era. Most of the large-scale construction and heavy industry projects during his era also went into operation prior to 1979), steel and iron production rose from 1.4 million tones to 3l.8 million tones, while coal production rose from 66 million tones to 617 million tones. Likewise, cement production soared from 3 million tones to 65 million tones, while timber production increased from 11 million cubic meters to 51 million cubic meters. In the same period, electric power rose from 7 billion units (kilowatt-hour) to 256 billion. Crude oil production rose from virtually nil to 104 million tones. Chemical fertilizers soared from 39,000 tones to 8.693 million tones; farm chemical production soared from 2,000 tones to 530,000 tones. Meanwhile, China had emerged from having nothing, to carving out a reputation in large-scale aviation, astronautics and nuclear energy and the establishment of all round military systems. Its achievements in these areas therefore cemented its position as a powerful nation. Until Mao's death, China has already developed from an agricultural nation to an industrial giant with jet planes, launch rockets, nuclear powered submarines and complete industrial setup, which could never be achieved using agricultural machinery. In l 976, China was ahead of other developing countries in terms of the degree of industrial development, technical expertise and development capabilities, and in some aspects even approach the levels of the developed nations. China's economic ranking has jumped from 13th position to the sixth in 1976 (foreign scholars generally agreed on this, despite some contention on the exchange rate. In terms of essential infrastructure, China has built over 800,000 km of public roads (excluding the non bitumen paved roads in the rural villages throughout China) and over 20,000 km of railroads. A large part of the railroads run through mountain ranges and the Gobi desert, thus ending the days when there were no railroads in Yunnan (except for a narrow railroad in the early period), Guangxi, Sichuan, Guizhou, Qinghai, Fujian, Xinjiang, Ningxia and Hetao plains. (In the immediate post- liberalization years, the railroad in Gansu only stretched up to Tianshui. Thereafter, it was extended to Lanzhou, and another Lanxin line was built). In the area of water conservation, management of the Changjiang River was primarily completed during the Mao era. More than 50,000 reservoirs were created. Of the 31 mega reservoirs with capacity of 2 billion cubic meters of water or more, thirty were completed after l 949. The management of Huai River alone had involved the construction of 3,400 reservoirs (today it is a massive expense even to build 3,400 standard-size swimming pools). These accomplishments, thus, set the stage for Mao's peaceful development of China. The end of the Cultural Revolution basically heralded the introduction of compulsory education. As much as five percent of the GDP was allocated to education for the establishment of thousands of tertiary institutions as well as a comprehensive elementary education system (Fund allocation for education after reformation in China has never crossed the global average of three percent. Repeated calls from the NPC (National People's Congress) representatives to the Chinese government had gone unheeded.) During the Cultural Revolution, the issue of children not being able to afford school was basically non-existent. In contrast, this problem became much worse in the later period (during the revolution feudalistic attitudes, not financial issues, explained why some peasants did not send their daughters to school. Several girls in the writer's hometown, including his sister, were caught in this predicament). In 1975 the percentage of school- going children even hit a historic high of 96.8 percent. Nevertheless, the percentage has hovered below this level in the subsequent years following Mao's death, until 1987 when it rose to 97.2 percent. Likewise, the percentage of graduating students from junior middle schools in 1975 was 60.4 percent; this percentage was never replicated in the subsequent years. The highest percentage in the last twenty years was only 50.7 percent, in 1998 (This was evident in the writer's hometown, where there were more than ten high school graduates in 1976; thereafter the number became fewer and fewer). In l 976, students comprised 22.4 percent of the overall population in China; this percentage increased to a record high of 22.7 percent in 1977, and then trailed off in the years after. The highest percentage was next recorded in 1998, but at 17.3 percent, it was only a little higher than the l 5.7 percent recorded in 1966, the start of the Cultural Revolution. During 1976 and 1977, the number of primary and secondary school students reached 150 million and 67.799 million respectively, the highest in Chinese history. These record high figures were never matched up in the years after. The problem of children discontinuing their studies because of the inability to pay for the school fees was never fully resolved after the liberalisation. Meanwhile, the proportion of students moving on to the next grade during Mao's era was the highest among the developing countries, a testimony to Mao's commitment to improving the overall wellbeing of the Chinese and also to the high level of equality in the Chinese society. In contrast to the 'privileged' form of education today, this was indicative of higher moral levels, and the contrast became even more apparent in the context of the divergent economic development. In the early years of the liberalization and reformation, businessmen from Hong Kong and other countries were generally concerned about whether it was possible to find qualified manpower in mainland China (they all thought that China was like Indonesia and Philippines). At the same time, Chinese officials and scholars were also making absurd conclusions, attributing the lack of qualified manpower in China as the obstacle to attracting foreign investments to the country. Nonetheless, first time foreign venture capitalists were surprised to find many locals with high school qualification, which was unthought-of in other developing countries. 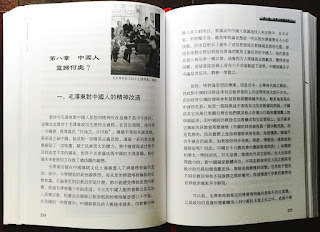 Although university education was severely affected following the cancellation of university entrance exams during the Cultural Revolution, this should not be used to undermine the noble accomplishments of elementary education. It was an even greater mistake for those who felt that the revolution had eliminated the opportunity for learning. Except for the first two years of the revolution, the impact of politics on education (including most of the high schools) had been minimal. Yet another major accomplishment in the Mao era was the setting up and expansion of large-scale research institutes to facilitate the overall development of scientific research and design in China (conservative estimates put the figure at over 3,000 institutes).Only the US and Russia had such large scale scientific research systems; these systems were virtually absent in other developing countries. These institutes played an indispensable role in the absorption of imported of technology, nationalization of facilities and spare parts production, as well as the study of global high-tech industries. Without them, China would not be able to build superior civilian and military industries within the twenty to thirty years after liberalization. People's Communes in cities and counties built hospitals and created a group of family physicians' throughout the rural villages (this is a globally unique and worthy achievement). Urban residents enjoyed free medical services, and villagers paid a pittance for consultation, while treatment cost for common ailments was only equivalent to the price of a few eggs. As a result of the comprehensive healthcare system, Chinese males and females were able to live longer, to an average of 66 and 69 years old respectively- almost the highest among the developing countries. This was attributed to the humanitarianism ideals of the Chinese government and its administrative structures during the Mao era. The overall humanistic benefit to the Chinese society, hence, should not be undermined just because of a few instances of human rights violation in the course of political struggle. Notably, China made these accomplishments all on its own, in a hostile, war-filled global environment. At the time of Mao's death, China had no external debts and no inflation, which were uncharacteristic of developing countries. The era even left behind massive foreign exchange reserves; as at 1977 China had 12.8 million ounces of gold reserves and U5$2.345 billion worth of foreign exchange reserves (please note that in the 1970s prior to Mao's death, China also imported aircrafts and industrial equipment worth billions of dollars), thus creating a fertile ground for the large scale technology adoption by Hua Guofeng and Deng Xiaoping. Even Deng acknowledged that, "Despite the many follies we have committed in the last thirty years, we did lay a foundation as far as the agriculture industry and scientific technology are concerned. In other words, we have carved out an advanced position for the Four Modernization'', "in brief we have created the material basis for the Four Modernization'', and "although we have committed blunders with Socialism, on whole we still changed the face of China''. Looking back at the history of economic progress in modern China today, the view is unanimous among those In the Chinese and foreign media and scholarly research - that it was under Deng Xiaoping's leadership that China's economy was able to transform itself and to progress. The question is, is this viewpoint correct? In this issue, The Asialink continues to look at what a Singapore scholar has uncovered in the course of his research. This paper is from Dr. Dong Yuzhen's book: The View of a Huge Man's Back. If truth were told, economic growth data during the Mao Zedong era did not reflect the genuine economic activity; it merely reflected a part of it. The huge economic sector that was missing was the cost of labor. For instance, to build a dam at the low-lying area of North China Plain, neither explosives nor machinery were needed; only volunteer labor from the masses was necessary. Therefore, construction cost of this dam is equivalent to zero. There was no way this activity could be reflected in the economic statistics of that time. Railroad construction was another unique example. To have an average 20,000 km of railroad constructed on difficult terrains, the scale of each project was unimaginable. However, it was the trained railroad soldiers who undertook construction works at that time. Therefore, the cost of these constructions was zero, and the quality and progress of these projects were attained with the lowest possible investments. Such constructions on tough terrains had claimed quite a number of soldiers' lives. During the Mao Zedong era, minimal cost of labor was essential to ensure funds were accumulated for the development of heavy industry. The deep sense of patriotism of the people helped to ensure efficiency and quality of project constructions at that time. On the other hand, given ever-evolving technology in present times, it is ironic that present-day China has constructed numerous projects that looks good on the surface, but cannot last for long. A simple examination of the quality of projects built during the Mao Zedong era, for instance the Nanjing Yangtze Bridge, revealed the success of national and local constructions of that time. For now, we ret-urn to the topic, what does "incomprehension of economies'' mean? lf we use rate of economic growth to gauge whether a leader understands economics, then the annual double-digit growths of China under the leadership of Mao Zedong (excluding factors like economic activities associated with zero cost of labor) would be concrete evidence that Mao Zedong was a great economic leader. With his wisdom and experience of living in olden China, it is impossible for Mao Zedong to have no knowledge of concepts like market economy and stock markets. However, he sought to find a new path of economic development. For this article, this path shall be termed "Socialist Workforce Deployment System'' developed based on policies. The characteristic of a Socialist Workforce Deployment System is being human resource and empowerment. It capitalizes on subjective initiative of humans to propel economic development. It does not deny the power money, but also does not see it as a means to purchase or stimulate labor", it merely sees money as a means to allocate resources. In a market economy system, humans are similar to all other means of production; they merely form a part of production costs. On the other hand, Socialist Workforce Deployment System shows respect for humans. Then again, to realize a Socialist Workforce Deployment System would require an unique environment, which includes: a band of leadership with high principles to inspire united oneness and awareness of the shared common good, towards a definite development goal, and a common belief to transform the will of the individual into the will of the group. In contrast, conditions to realize a market economy are simpler, that is to create an environment of fair competition for individuals to realize their ambitions. Under the leadership of Mao Zedong, callous contribution of self by reached a record high, even though there was absence of material incentives. This is an achievement that other leaders could not match up to. Deployment System would not be practical in present times; this is no reason to negate the success of it in the past. Ultimately, Mao Zedong created an environment suitable for the development of a Socialist Workforce Deployment System, and achieved brilliant results. The realization of Mao Zedong's economic ideals founded new thinking for human development. For instance, even with extremely weak foundations for industrial and technology, China could still launch a man-made satellite successfully within ten odd years, and only took nine years to complete proto-type unit of hundred-tone class Yun-10 commercial planes. Conversely, even a market economy with an average foundation and the importation of technology, one could still not on its own produce a locally manufacture automobile. During the Mao Zedong era, under harsh uncooperative, even hostile international environment, the sole strategy left for a sizeable nation like China was to prioritize development towards heavy industry and to improvise substitution import goods. Without the foundation laid by heavy industry development during the Mao Zedong era, subsequent development of the light industry, especially the durable consumer goods industry, would not have been possible. The Chinese state, then would have no choice but to fork out huge sums of foreign currencies to purchase expensive power plant equipment, huge engine beds, mining machinery and heavy- duty trucks. Conversely, the importing of production lines for color TVs and refrigerators would have become empty fulfillment. One significant example was the "leap forward to Overseas'' project, spearheaded by Hua Guofeng and key second-generation Chinese leaders, and represented by first phase of construction of BaoSteel (expended USD l 7.8 billion; figure obtained from relevant newspaper report in Shanghai when first phase of construction of BaoSteel went into operations). This project exhausted the entire foreign currency reserve of China and led to enormous financial deficit. It almost killed the Chinese economy that was still rather healthy after the "Great Cultural Revolution'' ended. Furthermore, part of the foreign reserve that was exhausted was foreign exchange earnings accumulated through state frugality during the Mao Zedong era. Without the huge accomplishments attained during the Mao Zedong era in areas like transportation in the Mid-Western region, energy resources, raw materials and military industries, present-day China would face an even more pressing problem of unbalanced regional developments. Purely infrastructure alone, like transportation facilities in the complex terrains of the Mid-western region, would be enough to make Deng Xiaoping's reforms pale in comparison. The "unilateral'' policy of friendship of China towards the Soviet Union received numerous censures from subsequent generations. However, an inspection of the assistance and influence of the Soviet Union towards 156 projects in China then was enough to provide justification. During the short alliance with the Soviet Union, socialist countries of Eastern Europe, like the Soviet Union, East Germany and Czechoslovakia, adopted responsibility of helping China lay the preliminary foundation for industrialization. The l56 projects belong mainly to the heavy and the military industries. For example, a RMB 600 million heavy-duty primary machines factory constructed in Tsitsihar, and a series of similar heavy machinery factories (construction of such factories were a lot harder than the construction of other "associated'' computer factories and home appliances assembly factories). The establishment of these factories not only propelled China to the advanced ranks of machinery tool manufacturing after China was liberalized, it also played a crucial part in basic skills development, knowledge impartation and cultivation of talents in China. Today, following absolute domestic production of numeric control systems, the machinery tool industry of China is almost at par with advanced countries like Japan, America and Germany; without the foundation laid earlier, current domestic manufacturing of numerically-controlled engine beds and processing centers would be unimaginable. During the establishment of large- scale imported projects like Shanghai BaoSteel- Japan merely shipped several refurbished second- hand equipment to China. On a similar note, America has to date been unwilling to sell advanced equipment to China, not to mention military industry equipment and the transfer of technology. Hence, it seems clear that without the short alliance with the Soviet Union, China would have faced even greater difficulties in rapid development of its national industries. In developing countries throughout the world, excluding the Soviet Union and the different developed countries, China is the only country that has the ability to construct a gigantic modern automobile factory based solely on its own industrial strength (Second Automobile Work - (which became Dong Feng Motors) was constructed in 1969, assembled its first automobile in 1975, installed an overall 4000 sets of new equipment, 300 production lines and 117 automated assembly lines, and ranks third in the world for truck- producing capacity. By simply looking at its speed of construction and degree of automation, one can easily refute the fallacy stating that nobody was engaged in productions and scientific research during the "Great Cultural Revolution"). Without the help of the Soviet Union in constructing the Harbin boiler-making plant, electrical machinery plant and steam turbine factory, subsequent large and middle- scale power equipment enterprises, for instance Sichuan Dongfang Power Equipment Group, would not have grown so rapidly. Similarly, capacity for construction of large-scale power plant equipment in China would not have been established so quickly either. Ultimately, the production of such equipment encompasses nearly all types of processing skills available in the mechanical industry. In the late 80s, the Harbin boiler-making plant was able to use a blueprint from America to construct a jumbo 600,000 kW power-plant boiler. The success of this is undoubtedly closely linked to the foundation laid earlier. Besides, it also serves as proof of the world- class standard of the Chinese welding expertise. The Dongfang Power Equipment Group can now manufacture 600,000KW large- scale steam turbine sets, signifying that the power equipment domain of China has at length achieved global first-class standard. Although China has not grown that rich as to ignore price differentials of several-fold, certain Chinese electric companies are still continuing to relentlessly purchase Japanese power plant equipment priced several-fold higher, and they are not doing so solely due to technological disparities. Then again, with the completion of the 600,000 kW large-scale units in China, technical disparity between large-scale power plant equipment in China and Japan would close the technological gap even further. One thing for sure, the economic policies and political context of the Mao Zedong era helped a poor nation like China accelerate fundamental capital accumulation. For market economy countries, this would have required a longer time, even up to a century. Subsequently, China was able to develop and expand its major industries. Even today, when China has achieved liberalization for over twenty years, private Chinese enterprises are still unable to undertake commercial risks in the heavy industry domain (especially in the domains of fundamental equipment and raw materials). Although South Korea has created a "Hanjiang Miracle'' by growing into one of the four Asian dragons in just 30 odd years after the Korean War ended, and the production tonnage of its ship-building industry has become world first, its turbines for large-scale ships are still dependent on Japanese imports. On the other hand, China possesses the ability to manufacture turbines for all variety of ships (from torpedo speedboats to l0,000-ton ships and nuclear-powered submarines) right back since 1976. The modern heavy industry of South Korea has gained knowledge of manufacturing electric locomotives; however, its key technologies are still all imported. In contrast, China possesses the complete independent capacity to manufacture locomotives. Although its variety and technical levels are still lagging compared to the different developed countries (like Japan, France and Germany), when assessed from a global perspective, China still stands at a higher level. When viewed from a global angle, the industrial scale, level of technology, and research and development ability of China in 1976 were still the highest among developing countries, even close to the standards of developed countries in certain domains. The gap between China and the other Asian dragons rapidly widened only in the later part of the 70s, when computer technology and micro-electrical industries developed swiftly, and there was widespread use of large and middle- scale integrated circuits in industrial domains like electrical appliances, time pieces and automated controls. Especially in the beginning of the 80s, the industrial revolution, characterized by personal computers and omni-directional applications, intensified the disparity. Needless to say, the main reasons why China could not catch up with its counterparts was because the light industry domain of China, which deals primarily with consumer goods, has insufficient trades, the relevant domains did not have sufficient technical preparations, there was a lack in operations concept for consumer goods, the system lacked flexibility, and foreign countries were imposing blockades on Chinese technology (Particularly serious in the IT domain. For example, when 1024- resolution computer monitors were extensively used in America, the National Defense System of China still had to secretly purchase these monitors from Hong Kong). Even though South Korea, Taiwan and Singapore have achieved huge success in the semi-conductor domain, none of these countries possess an independent capacity to develop the semi-conductor industry and the principle skills foundation. This is exactly the edge held by economic giants like America that is hardest for other nations to surpass or even match up to. However, in the early 70s, China had already independently developed ion implantation machines (developed by Academia Sinica of Metallurgy in Shanghai) needed for the manufacturing of integrated circuits, and was able to export them to Japan. China depended on its own expertise to construct its early semi-conductor industry; it took care of the entire process from pulling unit crystals and manufacturing equipment, to manufacturing integrated circuits and accumulating talents and knowledge. Besides China, other countries that held such abilities back then were only America, Japan and the Soviet Union. Regrettably, when the Chinese finished their tenth pie and were no longer hungry, they cleanly forgot about the merits of the previous nine pies consumed. Similarly, when retired workers of state enterprises could not claim their retirement ns due to problems facing their enterprises, have the Chinese government and people cleanly forgot-ten about the past contributions of these workers? It is precisely this group of people who had, under the leadership of Mao Zedong, disregarded personal rewards and contributed to high national funds accumulation, thereby resulting in magnificent success of China's industrialization today, and laying of a solid foundation for abundant supply of consumer goods.